Wilson staff pride themselves on creating drivers to help the average golfer hit it further and straighter. 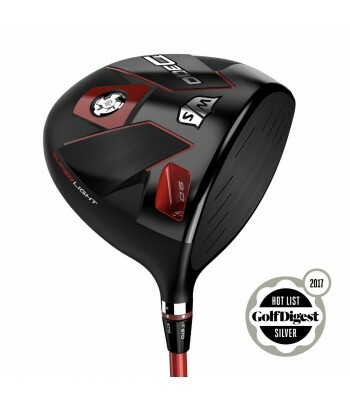 With an emphasis on creating lighter weight drivers which increase clubhead speed and distance, Wilson Staff drivers are some of the longest out there on the market today. Their D200 range features futuristic materials to keep the weight down in the head whilst not compromising either CG placement or MOI, and they use a carefully selected shaft to make sure the driver is not just light but the right kind of light. Superlight adjustable driver from Wilson Staff. MICRO VORTEX GENERATORS AND ADVANCED AERODYNAMICS FOR FASTER CLUBHEAD SPEEDS.